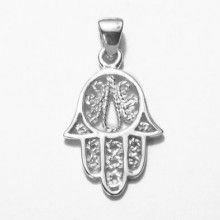 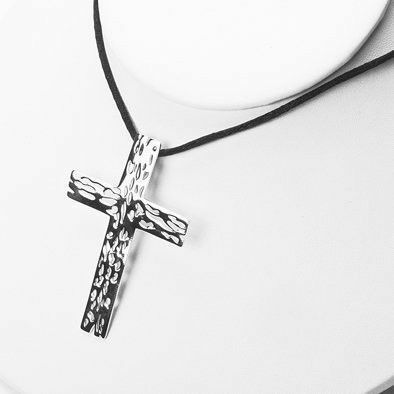 This large piece of religious jewelry measures 2 3/4" in length by 1 7/8" wide. 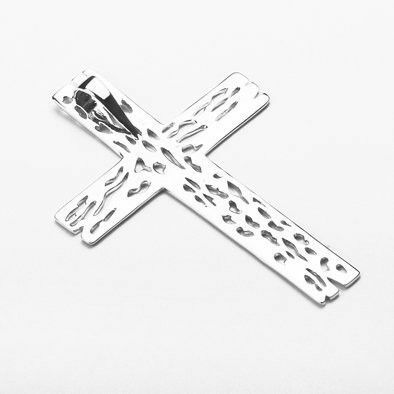 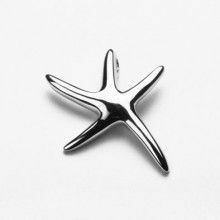 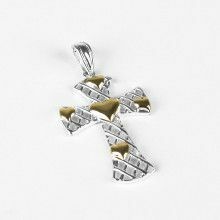 The pendant features a cross which has been designed to feature a wood-like pattern. 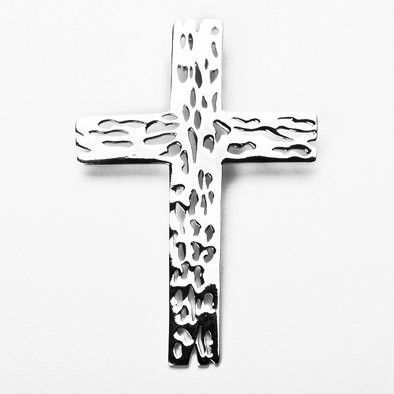 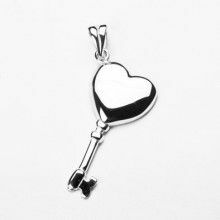 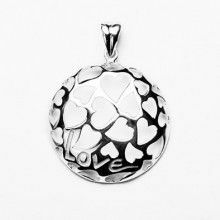 The silver is genuine .925 sterling silver.